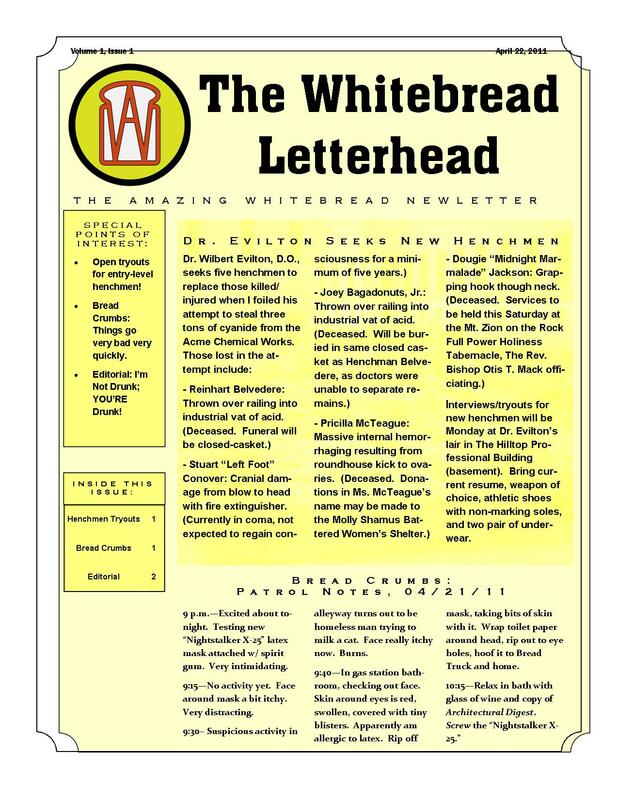 New Feature: The Whitebread Letterhead! 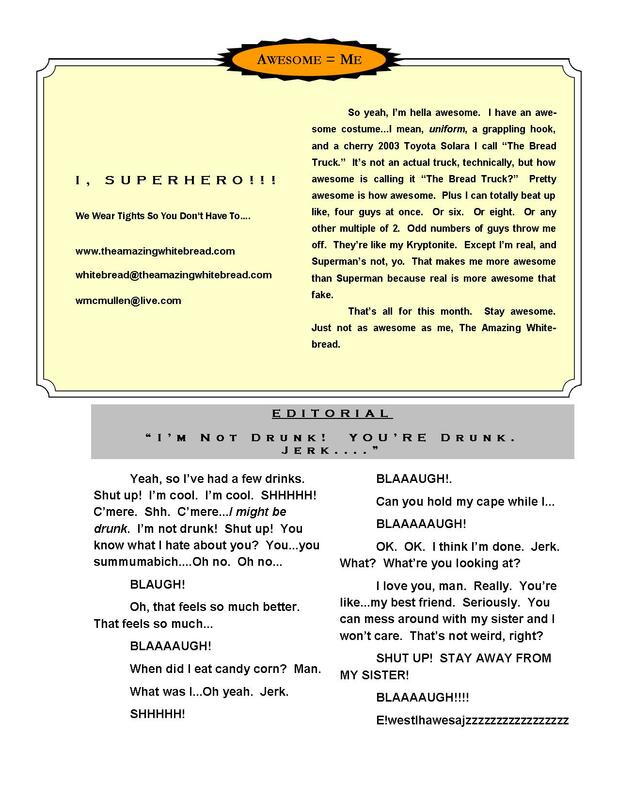 Today’s entry is a copy of The Whitebread Letterhead, the official newsletter of my alter ego, The Amazing Whitebread. I hope you like it, because they’re much easier to write than a “real” entry and I plan on posting them fairly frequently.